Lupita Nyong’o was one of the star attractions at the 2018 Governors Awards held in Hollywood, California on Sunday (November 18). 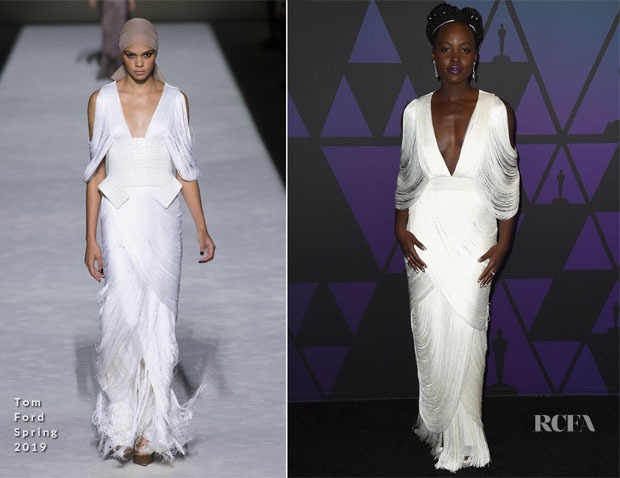 The ‘Black Panther’ actress sashayed down the red carpet in a white Tom Ford Spring 2019 dress, that was mesmerizing with its volume and movement. This draped design required monochrome accessories for an elevated approach to evening dressing, so white pumps, and a selection of silver jewels completed her look. Was this a win for Lupita? Easily one of the best for me.